Folks are lining up for the latest antitrust trial that kicks off this morning over @NCAA rules governing how much student athletes get paid. Stay tuned for live tweets. Opening arguments should start within the hour. ITMT check out @ZachZagger’s great recap of what’s at stake. The judge is in the courtroom. She says she read each side’s opening statements, which were submitted in writing. Just a recap – this is a 10-day bench trial and each side has 22 hours and 30 minutes to argue their case. The plaintiffs’ first witness is Dr. Daniel Rascher, a professor and Director of Academic Programs for the Sport Management Program at the University of San Francisco. He is being sworn in. Rascher hasn’t even started testifying yet and the NCAA attorneys are objecting to his testimony. The judge is confused – so is the counsel for the student athletes. They say they thought objections to testimony were already filed in writing. They sorted out the objections. Rascher is being examined by the NCAA’s counsel, who is homing in on conclusions Rascher made after he assessed what would happen if the @NCAA loosened their grant-in-aid rules. Rascher says he has not seen any evidence to show any substantial harm to demand if pricing restraints on student athletes were loosened. He notes that before 1948 there were no rules and some colleges treated student athletes as employees. The NCAA”s counsel is picking apart Rascher’s testimony in which he used sailing, figure skating and e-sports scholarships as examples to support his conclusions. The attorney gets Rascher to concede those sports aren’t comparable to college football. The NCAA’s attorney notes that the Ninth Circuit has said baseball analogies about rising salaries in the 1970s aren’t comparable to college sports today. Rascher says over 150 years ago, when baseball players started getting paid, teams got better and demand went up. “It’s a long time ago for sure,” but he says it’s one piece of dozens of evidence to support his opinion. NCAA’s attorney is trying to get Rascher to concede trends in baseball and the Olympics isn’t comparable to college sports. He’s pushing back. Rascher says he thinks it’s incontrovertible that the Olympics had amateurism, which came with restrictions, and since they removed those restrictions, demand has gone up substantially. Judge says she’s having trouble with the attorney’s use of the word “amateurism,” which is somewhat contested between the parties. The attorney says he is referring to amateurism as defined by the NCAA. Rascher says he thinks if the college sports at issue in this case – which is certain football and basketball athletes – were to get paid, that would have a “de minimis” effect on consumer demand. Rascher says just because a block of fans might be “turned off” by student athletes getting paid, it doesn’t mean they will entirely stop watching the sport and demand would go down significantly. The NCAA’s attorney notes that Rascher did not interview any athletic directors, university officials or named plaintiffs. Rasher agrees, saying he only looked at the data. NCAA’s attorney is focusing on who should be paid more: college basketball and football coaches v. pro coaches. Rascher says college coaches get paid similarly, even though pro sports generate 5 to 10 times more revenue than college sports. The NCAA’s attorney notes that college coaches have more work to do, since they work for universities and have to recruit from high schools. Rascher is pushing back, arguing that recruiting free agents and through a draft is more work. And we’re back. The NCAA’s attorney is now challenging Rascher’s testimony that compensation caps likely cause segregation as opposed to campus integration. NCAA attorney: You agree whether athletes should be paid is a complicated legal and economic question that has been litigated in courts across the country. R: I don’t think it’s that complicated… The athletes are paid right now, it’s just being capped by 353 schools. The judge just asked Rascher directly how the conferences would determine what the open market would bear in terms of paying student athletes. Rascher replied they would have to conduct studies and it could take years to figure out the market. But it happens in every industry. Rascher is comparing it to Apple launching a new product. Apple doesn’t know what the market will bear, but it conducts market studies to predict it. “Every industry faces this… this is not a phenomenon that is unique to college sports,” Rascher says. NCAA’s attorney has turned to student athletes in military schools, who get paid. Rascher concedes that those schools still don’t attract 5-star recruits, even though they get paid to enlist. NCAA’s attorney wrapped his cross-examination of Rascher. An attorney for the student athletes is about to begin redirect. An attorney for the student athletes wants to admit exhibits “embedded” in Rascher’s direct testimony through citation or attached. The NCAA is objecting. The judge is not pleased. Judge: How can this be happening? They’re saying it’s attached to the trial declaration. You’re saying you’ve never seen it. Are they lying… This should be ascertainable. The judge said this is not something they should be doing in open court, using up everyone’s time. She suggests they take a break to give the parties time to figure it out. They agree. We’re back. @daniel_rascher is still on the stand. He says when there’s restraint on athlete pay, schools find ways to compete for those athletes in other ways, funneling money to coaches and facilities. Rascher says some student athletes have been getting over $28,000 in SAF payments from schools to cover a range of their “student” expenses, including legal fees, insurance, fix cars and in one case a trip to Toys-R-Us. The attorney for the student athletes pulled up a graph showing a breakdown of SAF fees at Ohio State. The NCAA is objecting. They say the data is hearsay and shouldn’t be admitted, since Ohio State isn’t a party to the case. The NCAA attorneys are also objecting to another graph that shows the average SAF payment to student athletes in about a dozen universities is approximately $5k. The graph also shows that the U. of Miami handed out 9 student athletes SAF payments, one who received over $21,000. Rascher says certain student athletes are essentially receiving compensation above the cost of attendance and fans are still watching. Plaintiffs’ counsel wrapped redirect. The judge asked Rascher if the schools offer new recruits different incentives in addition to the varying SAF payments. Rascher replied that schools will offer student athletes different amounts in scholarships. And @daniel_rascher is stepping down. There’s only 10 minutes left in the trial today, but the judge says she wants to push through and call the next witness to the stand. Plaintiffs call Stanford economist Dr. Roger Knoll. NCAA attorney just asked Dr. Knoll if he knows that he is not allowed to offer certain opinions that the judge excluded. Dr. Knoll: The probability that I remember what is in and what is out is exactly zero. An NCAA attorney just tried to summarize Dr. Knoll’s response to her question. The first day of the 10-day bench trial is wrapped for the day. I’ll be back here tomorrow at 8:30 a.m. Stay tuned! Judge Wilken is back. She asked the parties to cut down ~500-page manuals that were submitted as exhibits. She said she won’t read them and they need to be cut down. The judge said certain charts detailing SAF payments @daniel_rascher cited in his testimony “struck me as reliable.” She said she could require the plaintiffs to certify the docs in light of NCAA’s objections, but she would be “somewhat tempted” to award them attys’ fees. Noll is back on the stand, being examined by NCAA’s Beth Wilkinson of Wilkinson Walsh Eskovitz. She’s asking him if student athletes could receive funds that exceed cost of attendance in a given year through different benefits, like Pell grants and SAF payments. He agrees. Wilkinson asks Noll if students receiving certain cash payments would violate the NCAA’s rules governing amateurism. Noll responds that it depends, because the NCAA’s definition of amateurism is “circular” and it has changed its definition of amateurism yearly. Noll explains that the NCAA’s definition of amateurism allows schools to make SAF payments to student athletes. But what constitutes an SAF payment has changed each year. For example, he says computers and travel costs weren’t originally covered, but now they are. Wilkinson and Noll are getting into it. Wilkinson is trying to get Noll to concede that the plaintiffs never conducted a quantitative analysis of what would happen in the “but for world” if the NCAA rules were loosened. Noll disagrees, he says they have. Noll tells the NCAA’s attorney that the quantitative effect of removing student payment rules would be zero based on history. “That’s the argument. You may not believe it, but to say it’s not quantitative is not right,” he says. The exchange got heated and the plaintiffs’ counsel objected to NCAA’s attorney cutting Noll off. The attorney complained that Noll wasn’t answering her questions directly. The judge told her to move on. The NCAA’s attorney shifted topics to cost of attendance and whether athletes choose schools based on academics. Noll says they have no information at all what’s really in people’s minds when they select schools. Noll says most student athletes want to be students, but not all of them. He also says profits from college football and basketball at most universities fund the rest of the school’s sports, which generally lose money. Noll says overall the vast majority of college athletics departments do not make a profit even from the two revenue sports, football and basketball. Wilkinson wrapped her examination of Noll by getting him to concede that student athletes receive a large benefit if they graduate with a college degree. But he adds that any student who graduates receives that benefit. The judge called for a morning break. Back in 15. And we’re back. Jeffrey L. Kessler of Winston & Strawn LLP for the student athletes begins by asking Noll what he was asked to do in this case. Noll responds that he was asked to critique NCAA’s expert reports. Noll says NCAA’s expert – U. of Virginia economics professor Kenneth G. Elzinga – didn’t conduct any study on consumer demand. Kessler just tried to display NCAA conferences revenue data. NCAA objected, arguing that it is non-public info. The judge said she’ll consider the objection during the break, but for now she won’t let it be displayed. Kessler seems annoyed. He says it’s public data from 990s. NCAA’s attorney also says the data in the table is hearsay. They seem to think a lot of the plaintiffs’ demonstratives and exhibits are hearsay. Noll says there’s no evidence revenues from the NCAA conferences has gone down, and evidence it’s gone up. Kessler brought up another table that is public. The table shows Div. 1 revenues for women and mens’ basketball and FBS football has gone up annually, from $4.16 billion in 2009-10 to $6.48 billion in 2016-17, even after the NCAA loosened its rules restricting student athlete benefits in 2015. Noll is giving a run-down of how revenues are funneled into a university. He says revenues that a department, school club or organization produces generally goes to the university president’s office. Most departments don’t produce revenues that cover their costs, he says. Noll’s testimony shifted to NCAA’s SAF funds, which he calls “complete add-ons” that can be used for student expenses. NCAA distributes SAF funds to conferences, which gives them to schools. Noll says he’s unaware of any school violating NCAA rules in how it distributes the funds. Noll is trying to give testimony on infractions that schools self-report to the NCAA. The NCAA’s attorney has objection about a dozen times in the past 10 minutes, arguing that the plaintiffs haven’t laid a foundation for asking about infraction reports. NCAA’s attorney: “This witness is not the expert on the rules.” The judge let him continue to testify, now NCAA’s attorney is raising a “standing objection.” She really doesn’t want Noll to testify on the NCAA’s compliance structure. And we’re back. Kessler asks Noll what his definition of amateurism is. Noll says its changed over the years, but it’s always determined what athletes are allowed to receive according to the NCAA and anything over that would undermine college sports. Noll has been repeating some of his testimony that students receive different benefit packages. He also says NCAA’s expert didn’t look at how increasing student athlete pay could impact how they integrate in schools. Noll says graduation rates of Div. 1 basketball and football players went up between 3-5 percent after the NCAA’s cost-of-attendance increased. Kessler wrapped examination of Noll with asking him if he thinks removing NCAA compensation rules would negatively impact consumer demand. He says there’s “zero” evidence that it would. Noll: If you start paying athletes more, it won’t change the relative power of the conferences. They’re finished with Noll. NCAA is calling its first witness, University of Virginia economics professor Kenneth G. Elzinga. The student athletes’ attorney is trying to get Elzinga to concede that the NCAA’s definition of amateurism is “circular.” Elizinga says that’s not his view. Trial wrapped for the day. The parties will be back here tomorrow morning to continue examining Elzinga. After that, three athletes are expected to take the stand. Here’s my recap of today’s testimony in which @Stanford’s Dr. Roger Noll takes on the @NCAA’s athlete pay rules. Day 3 of the 10-day bench trial over the @NCAA‘s rules restricting student athlete pay has begun. U. of Virginia economist professor Kenneth Elzinga is back on the stand, testifying on the economic impact of removing the rules. Counsel for the student athletes is trying to get Elzinga to admit prohibiting athletes from receiving academic awards on top of athletic awards sends the message that athletics are more important than academics. Elzinga says he doesn’t have an opinion one way or the other. The attorney asks Elzinga if consumer demand to watch NCAA sports would drop if athletes received flat screen TVs, Best Buy gift cards or funds to pay parking tickets or mutual funds. He says he doesn’t see how it would or how that could be measured based on those variable alone. Elizinga says he imagines an amount that could influence consumer demand. For example, if well-performing athletes received $100k in gift cards, and that was reported in the press, fans could be turned off and stop watching the sport. The attorney presses Elzinga on his opinion, asking if he had conducted a quantitative analysis of his $100k number. He replies that he just did his analysis. The attorney moves on. The attorney asks Elzinga whether post-graduation athletic scholarships constitutes pay-for-play. Elzinga says 2 post-grad scholarships doesn’t qualify, which is how many the NCAA currently gives out. But more than two might be and many post-grad scholarships is pay-for-play. The attorney responded that the @NCAA is currently considering adding the concept of name, image and likeness to its rules. Judge replies, “Ok, you’re telling me they’re considering this? Let me know if they do.” The attorney moves on. The attorney asks Elzinga if a hypothetical commissioner would advocate to pay more for better players if the @NCAA rules were removed, and the popularity or demand for the commissioner’s conference would go up. Elzinga agrees, but says the costs would be imposed upon others. Elzinga clarifies that he doesn’t know if the demand for sports would rise in the attorney’s hypothetical without more info. He says if consumers don’t value amateurism, then it might go up. But he believes consumers do value amateurism, which they get by the @NCAA‘s enforcement. Elzinga adds that there’s no rules stopping conferences from leaving the @NCAA regime and going pro. Elzinga says hypothetically if a conference pays certain teams above others, teams will leave the conferences. Counsel for the student athletes has proposed various hypotheticals to Elzinga, who has generally stood by his take that consumer demand for sports would drop if students were paid to play or allowed to receive academic awards on top of athletic scholarships. On a 15-min break. We’re back. The student athletes just played a video of America East Conference Conference Commissioner Amy Huchthausen. She said if the Power 5 started paying players, it wouldn’t significantly impact her conference, which doesn’t have as much resources. Huchthausen added that paying athletes might equalize the playing field between the conferences, because then the Power Five conferences might have to cut back on certain perks – like hiring 10 nutritionists – in order to pay players. Counsel for the student athletes wrapped with Elzinga and NCAA’s attorney is up. He’s focusing on his testimony that amateurism is an important part of why fans watch @NCAA sports. Elzinga says the plaintiffs’ experts ignored the short-term negative impacts and costs that removing the NCAA’s pay caps would have on the schools and instead focuses on long-term benefits. But “in the long-term we’re all dead,” Elzinga said, quoting another famous economist. Elzinga says “Western civilization has always admired a David v. Goliath story.” And the attorneys finished examining him. Trial is taking a 15-min. break before the parties call the next witness. We’re back. The NCAA calls U. of Chicago’s Dr. James J. Heckman. Counsel for the student athletes starting off by asking him if his work in this case is consistent with the report he prepared for the related O’Bannon case. He agrees. Heckman is vigorously defending a regression analysis he conducted for the NCAA and the data he used. Trial wrapped for the day with the judge asking Heckman if there’s any expert evidence to show outcomes to athletes would be worse if they got more money in addition to their benefit packages. He says it could have “reverberations through the system.” Back tmr at 8:30 a.m.
We’re back and Heckman is on the stand. An attorney for the student athletes asked him about a few sentences in his report. He’s asked repeatedly for time to read the context around the sentences. Attorney: Read whatever you want, just don’t read the whole report and waste time. Heckman: I just don’t want to take it a sentence at a time. The judge repeatedly asked Heckman what he considers is a “large increase” in athlete compensation. Heckman replies that a study pegged an increase at $200k for star players. The judge said she wants to know what he thinks is a large increase, not what others say. Heckman repeated that other studies have pegged the number at $200,000. The judge says: “OK,I’ve asked it enough times.” She says she’s going to assume he means $200k is a “large increase.” She tells the attorney to move on. The judge asked Heckman whether offering multi-year scholarships would limit the potential negative impacts of offering athletes academic incentives. He says that could attenuate the impacts, but incentives are “a delicate matter” and could have unintended consequences. Heckman says paying student athletes would impact student athlete integration and ‘separate’ them from classmates. He emphasizes that paying athletes could have consequences on the college system “as a whole,” which could be slow to respond. Heckman referred to a Baker study cited in an expert report that showed no negative impacts of the NCAA’s move to pay athletes for cost of attendance. Heckman says the study was flawed and didn’t take into account ticket prices. Plaintiffs’ counsel objects. Counsel for the student athletes wants their experts to respond to Heckman’s criticism of the Baker study. After the attorneys argued over it for a few minutes, the judge said she’d think it over and told the attorneys to move on. Heckman stepped down. The student athletes are calling their first ‘non-expert’ witness: lead plaintiff Shawne Alston, a former West Virginia running back. Alston says he played football for four years while he was earning a degree in criminology. He received $25,000 to $28,000 per year in a scholarship. He also says they would get Best Buy gift cards worth about $400 for bowl games and received a Pell Grant for his first 3 years. Alston says he had to take out a $5,000 loan and borrowed money from his family to help cover his expenses. He says he complained about it to coaches and the sports admin, but they told him he had to figure it out. Alston says when he started college, his primary focus was football and missing practice was “frowned upon.” Advisors told him he couldn’t take classes after 1 p.m. because it would interfere with practice. Alston says he thinks team walk-ons were there just to keep the team GPA high, while the coaches just wanted to keep scholarship athletes eligible. He said all walk-ons he knew graduated but scholarship athletes didn’t. Alston said scholarship athletes were required to attend study hall, host recruits, make media appearances and miss class. He was also told to take “easier classes,” and he took two of them: intro to jazz and a wildlife class. Counsel for the NCAA is now examining Alston. He asks Alston if he was focused on his academics, because he knew it wasn’t likely he’d play for the NFL. Alston agrees. The NCAA’s attorney asks Alston if it would have been easier for him to afford college if he didn’t have a college football scholarships. Alston replies that it might not have been easier, but he’s sure it would have been possible. The NCAA’s attorney presses Alston on his statement that he thinks non-athletes have more time than him. He asks him if non-athletes who have part time jobs were busier than him. Alston concedes that they might also have been busy. The NCAA’s attorney notes that Alston played for West Virginia from 2009 to 2013. The judge called a break. Back in 15. We’re back. The NCAA’s attorney asks him about Pell Grants he received. He says one year he received about $5,000 and the other two years it was slightly more to cover the summer. The NCAA’s attorney shows Alston a list of what was covered by the grant-in-aid he received. It includes tuition, course fees, room, meals and textbooks. Alston says he doesn’t think they were given adequate meals. The NCAA’s attorney is going through each grant-in-aid scholarship that Alston received and the Pell Grants. The attorney notes that the grant-in-aid scholarships rose each year. The NCAA’s attorney points out that the Pell Grant Alston received covered the differences between the grants-in-aid and the total cost-of-attendance. One year, he received more than the cost-of-attendance, the attorney notes. Alston disputes having “cash-on-hand.” He said by the time he received the Pell Grants he was already two months behind on rent, since he was required to be on campus before the semester officially started. Alston says that they did not receive money from the university for housing during the summer, which is why he had to use money from the Pell Grant or from family members to cover housing for the summer. The NCAA’s attorney asks Alston if it was harder on him to be in college because he sent money home to his mother. Alston replies that his mom sent him more money than he sent her. The NCAA’s attorney asks Alston if he would have taken more or fewer classes if he were given $15,000 each year from the school to help him with costs. Alston replies that it would not have impacted his course load and every undergrad must take certain courses to graduate. The NCAA’s attorney brought up a NYT article in which Alston was quoted as saying he doesn’t know how it would be fair to determine what players get if they received salaries. Alston says he does think that would be difficult. The NCAA’s atty asks Alston why he thinks athletes should be paid. He says to cover the “essential things,” so they won’t be hungry, so they have clothes, so they can go home when they have a break, so they can pay phone bills and to compensate them for being hurt all the time. ‏The parties wrapped with Alston. The plaintiffs’ called Martin Jenkins, former Clemson football player. Jenkins received a grant-in-aid for the four years he played for the team 2010-2014. Counsel for the student athletes asked if Jenkins remembers when the team’s starting quarterback Kyle Parker was drafted by the Colorado Rockies MLB team for over $1M . Parker plaid for Clemson through the end of the season. Jenkins says it didn’t change anything b/w the players. Jenkins just gave a run-down of his schedule on a typical day during football season. It would start at 6 a.m. and end with watching football videos. He spent about 40-50 hours a week on football, averaged about 6 hrs of sleep per night and didn’t have enough time for studies. When his team played bowl games, he said they received VISA and Best Buy gift cards, which he considered to be just like cash. Jenkins says he majored in sociology instead of business, after his advisor told him the business major was time consuming and would interfere with football practice. Jenkins had four major surgeries from football injuries during college, and he says he is still dealing with health problems from those injuries. He said the school no longer covers his medical costs, since he’s not a player. Now, he’s a salesperson an IT company in Atlanta. Jenkins says they were getting paid an “insignificant amount to live” as athletes. If they were paid, it would give them the chance to worry less and focus on academics, he said. Jenkins adds that athletes are already divided from the rest of the school, since they eat, study and practice in their own facilities. Trial is taking a break. Back in 15 with the NCAA’s cross-examination. We’re back, and counsel for the NCAA is probing Jenkins on his decision to go to Clemson. The attorney notes that Jenkins still received a scholarship and gift cards one year that he didn’t play, because he was injured. NCAA atty: Your scholarship paid you enough money to live off of, is that right? Hartman says the overall the message was that basketball was the focus and not academics. They practiced six hours a day. “They were like, ‘You better be there, or else your scholarship might not be there,'” she says. Counsel for the student athletes notes that women’s Div. 1 basketball flew coach and didn’t have their own training facilities. Hartman also says they weren’t given enough food, which was hard on them because they were working out for six hours a day. When her team made it to the Final Four, she says they received Beats headphones and an iPad, which she considered perks of playing the sport. She said playing basketball felt like a job. The NCAA’s attorney is probing Hartman on classes that she missed when there wasn’t basketball practice. She says there were other workouts that weren’t formally called practice that she had to attend and she didn’t just skip classes for the sake of it. Hartman says she thinks student athletes are exploited and if they are suppose to perform a job at a high level, they should have enough money for food and given appropriate resources. NCAA’s attorney asks Hartman if she chose to play basketball in college and was given the chance to go to U.C. Berkeley. She agrees she did. NCAA attorney: Who is it exactly who exploits you? The NCAA attorney notes that Hartman chose to live off campus and lived with another student who isn’t an athlete. He also gets her to concede she learned a lot of leadership skills and was able to travel during her time on the team. The parties wrapped with Hartman and her testimony marks the end of the 4th day of the 10-day bench trial. The trial is taking a week-long break, because Judge Wilken is traveling next week. The parties will be back examining witnesses at 8:30 a.m. on Monday, Sept. 17. Judge Wilken also says she’s overruling the NCAA’s multiple objections that were raised during Dr. Roger Noll’s testimony on a number of grounds. Judge Wilken says she wants to know what the federal guidelines are governing Pell Grants and if they can be more than the cost of attendance. She also wants someone to explain how media contracts are negotiated. With that, the court’s breaking until Sept. 17th. The fifth day of the 10-day antitrust trial over the NCAA’s pay restrictions has kicked off. @UWMadison Chancellor Rebecca Blank is on the stand. Blank just gave a rundown of her career and credentials that led her to land the job at UW in 2013. She’s also explaining what her responsibilities are as chancellor. She says she meets with the school’s athletic director monthly and oversees all of the university’s budgets. Blank also sits on a board that’s the governing body of the @bigten. She says the issue of paying student athletes has “almost never” come up in her discussions with students. Blank says @UWMadison has approximately 900 student athletes. Men’s college football and basketball are the only money making sports – and occasionally men’s hockey, she says. They’ve made money for over 20 years through ticket sales, media contracts, etc. Blank says @uwmadison makes sure that student athletes have the same experiences as non-athletes. They attend the same classes and live in the same dorms. Blank says if they had to start paying student athletes @UWMadison would have to consider whether they would want to continue sports at the university, and they might pull out of the @NCAA altogether. The student athletes’ attorney is showing Blank a 2015 survey that shows that Division I football players spend b/w 41 and 42 hrs per week on football in season and get ~5.5 hours of sleep per night. Division II players spend about 36 hrs, while Division III players spend 31 hrs. Blank says she’s seen some similar surveys of student athletes, but not the specific surveys Berman is pointing to. Berman shows her a @UWMadison women’s basketball schedule that shows 39 travel days between Nov. 12 2017 and March 3. NCAA’s atty objects, which is overruled. The student athletes’ attorney pressed Blank on her criticism of coaches salaries. She stands by it. The atty notes that @UWMadison‘s men’s basketball coach Greg Gard receives $1.75 million annually and football coach Paul Chryst earns $3.2 mil. Trial is taking a 15 min break. We’re back, with the student athletes’ attorney asking Blank if she is aware @big10 Commissioner Jim Delaney received $20 million in compensation. Blank says she is. Blank says @UWMadison receives between $43 million and $45 million annually from the Big Ten network. The attorney is pointing to a 10-year, $96 million deal @UWMadison‘s athletic department signed with @UnderArmour in January 2014. She says she’s familiar with the deal. The student athletes’ attorney is trying to admit The Big Ten’s tax form 990. NCAA’s attorney objected, which was overruled. The atty points out that the Big Ten’s revenues went up from $483 million in 2015 to $512 million in 2016, when NCAA’s cost of attendance rules changed. The student athletes’ attorney wrapped cross, for now, with a joke about the Badgers weekend loss to BYU. The NCAA just started her re-direct explaining the joke to the judge, who doesn’t follow the Badgers. The NCAA’s attorney points to NCAA surveys that look at experiences of student athletes. According to the NCAA study, 69-70 percent of Division I athletes say they have a “sense of belonging” on campus. The NCAA’s attorney is trying to get Blank to clarify her stance on paying student athletes. Blank says once you start paying them, they are no longer amateurs, “they become so kind of professional,” which the university doesn’t support. Judge Claudia tells counsel for NCAA: “You’re confusing me with the numbers raised previously..” by asking Blank about various revenues. “In any event this doesn’t seem to be the most efficient way of getting this across.” The judge wants the numbers clarified. The parties wrapped with Blank. The judge says she wants to “draw a line” on questions that attorneys ask witnesses about what they think will happen to demand and integration if the NCAA pay rules are lifted. American Athletic Commissioner Michael Aresco is taking the stand. The judge questioned why he’s next, when she had planned for another witness. NCAA apologizes. The students athletes’ attorney also complains: “You’re not the only one who’s not getting notice,” he tells judge. The NCAA’s attorneys apologized. They say they had to move around their witnesses due to scheduling conflicts. The NCAA’s attorney is examining Aresco, who’s giving his credentials. Aresco worked for CBS and ESPN in programming before becoming a commissioner. He says college sports were “critical” to ESPN’s growth in the ’80s and ’90s, and he negotiated game contracts. As a commissioner, Aresco says he negotiates multiyear media contracts on behalf of the conferences. The judge asks Aresco how the revenues are distributed to the schools. He says recently they were distributed equally for the most part. Aresco explains that three schools received a little more of media revenues that were left over from the old Big East Conference, which was “torn apart” by conference realignment in 2013. The NCAA’s attorney asked Aresco what he thinks the impact on demand would be if the NCAA pay rules were lifted. The student attorneys’ counsel objected to the question and the judge sustained it. Trial is taking a break. Back in 15. We’re back. Aresco says his conference, which has fewer resources than others, has been able to stay competitive due to certain NCAA rules, like one that caps athlete scholarships at 85 per school. Big schools can’t take all of the top players, he says. An NCAA’s attorney is trying to get Aresco to testify about the impact of the NCAA athlete pay rules on demand. The student athletes’ attorney has raised a number of objections. The judge is mostly siding with the athletes on this line of questioning. Aresco says while he was at CBS and ESPN ratings increased because people liked to watch amateur sports. The judge presses him on his statement, asking him if he or the networks did studies looking at the ratings. He says no, not that he was aware of or involved in. After multiple objections, the judge allowed Aresco to give his opinion on how amateurism impacts consumer demand, which is a key question at issue in this trial. He says loosening the rules would negatively impact consumer demand. The student athletes’ attorney is examining Aresco, pressing him on any studies done linking consumer demand to amateurism. Aresco says he hasn’t done any study, but he’s seen one that showed 71 percent of the public believes student players should not be paid. Aresco concedes that the media rights contracts he’s worked on don’t include provisions that voids the contracts if the @NCAA removes its student athlete pay rules. Parties wrapped with Aresco. Before trial wraps for the day, the parties are asking the judge to rule on an exhibit that includes Dept of Ed. data, which the NCAA objects to on a number of grounds, including authenticity. Economist Roger Noll referenced the data in his testimony. The judge asks for “short” briefing on the issue. NCAA’s counsel says they plan to call Pac-12 commissioner Larry Scott and @NCAA VP Kevin Lennon to the stand tomorrow. With that, we’re the 5th day of the 10-day bench trial wrapped. Half time! We’re back. The judge is on the bench. She says it seems that the cost of attendance varies per school and she doesn’t understand what the government regulates about it. She wants the parties to point her to the federal rules explaining what is regulated. With that, the @NCAA calls @pac12 commissioner Larry Scott to the stand. Scott says @pac12 shares revenues equally among the 12 schools, and men’s football revenues ‘dwarfs’ men’s college basketball. Those revenues include revenues from TV contracts, sponsorships, events, ticket sales and NCAA distributions. Scott says the @NCAA has a “somewhat complicated” formula to determine how much each conference receives in NCAA distributions. He says the “lion’s share” of the formula is determined by how many teams a conference has in tournament and how many rounds they win. Scott says the @pac12 schools generate $70 million on the low end to $140 million on the high end, and the conference distributes about $31 million back to each school. Scott says his annual salary, including his ‘target bonus,’ is $4.5 million. He says it’s in line and reasonable with other media executives. Scott says in a typical year he has “several dozen interactions” with college athletes – between 50 and 100 any given year. Scott says he’s had dozens of discussions with student athletes about the idea of “amateurism,” which he defines as not paying athletes more than their expenses. He says the “vast majority of student athletes” have told him they support amateurism. Scott says he hasn’t heard students make those complaints since the @NCAA changed its rules in 2015. Those changes “significantly liberalized” food rules, he says. Scott says if the @NCAA rules were lifted it would make it “murkier” for fans and broadcasters to understand what college sports is. It also wouldn’t be in the best interest in higher education and it would disrupt conference makeup, he says. Scott says “it’s clear to me” based on surveys he’s seen and his own discussions with fans that the “vast majority of consumers” value amateurism. A fight has broken out b/w the attorneys over a document that Scott is testifying about. The student athletes’ attorney argued it’s hearsay and shouldn’t be admitted. Two NCAA attorneys are pushing back against the one plaintiff’s counsel. The judge called a 15-minute break. We’re back. The judge says “let’s dial it back a notch.” Each witness will have one attorney and “all other attorneys will remain the seats,” unless they’re quietly passing a sticky note to an attorney, she says. The NCAA’s attorney is trying to get Scott to testify on what ESPN and Fox has told him regarding their take on amateurism. The judge has sustained the student athletes’ multiple objections to the line of questioning based on hearsay. Scott says allowing schools to pay student athletes could raise problems for students who want to transfer from a paying school to a non-paying school. It could also cause significant controversy and issues about what benefits schools offer. Scott says the @pac12 doesn’t currently have an enforcement officer. It used to, but that created tension b/w schools and the conference, forcing it to police them. He says he doesn’t support requiring conferences to enforce rules for those reasons & b/c it would increase costs. The student athletes’ attorney, Steve Berman of @hagensberman, is examining Scott, repeatedly asking him if he’s seen any economic analysis assessing the impacts of lifting @NCAA pay rules. Scott says he has not. Berman asks Scott if any athletes, boosters or alum have told him they either wouldn’t play or would stop watching college football if the @NCAA lifted certain pay rules. Scott replies no, they haven’t said those specific things to him. Another dispute has come over an exhibit. Trial is taking a second 15-minute break of the day. We’re back. Berman is trying to ask Scott about a 2015 report looking at @pac12 student athlete time demand. The NCAA attorney is objecting to the report being admitted as evidence. Berman brings up an op-ed titled “Pac-12 commissioner Larry Scott needs to be fired immediately.” Scott quips: You had to read the title of it? Scott explains that the @pac12 received criticism after several high-profile schools lost Friday night away games when they played the previous Saturday night games away. But he said since, they changed the rules so schools don’t play consecutive away games in a short week. NCAA’s attorney is back up examining Scott. He asks him about the @pac12 website misinformation. Scott says he checked over the break and the info isn’t on the current site, but it is still in the archive of the site that was “sloppily” not removed from Google search. The parties wrapped with Scott. The NCAA is calling @NCAA vice president for Division I governance Kevin Lennon to the stand. Lennon is currently testifying on the specific @ncaa rules that the student athletes are challenging. The judge questions why they’re going through all of the rules (there seem to be a lot of them). NCAA’s attorney explains that the student athletes’ counsel won’t agree to them as a summary of all of the changes. Lennon reads the @NCAA‘s cost-of-attendance definition: an amount calculated by an institutional financial aid office, using federal regulations that includes the total cost of tuition & fees, room & board, books & supplies, transportation & other expenses related to attendance..
Lennon says the @NCAA rules exempt certain government grants from being included in calculating cost-of-attendance, like a Pell Grant or GI Bill grant. Lennon notes that they don’t want event participation awards to morph into pay-for-play, which is why the @NCAA rules cap the awards, generally between $225 to $550. The student athletes’ attorney is examining Lennon on waivers of the @NCAA pay rules. Lennon concedes that it’s possible 500 waivers have been given out since 2014, but he says sometimes waivers aren’t granted because the requests are rule changes and not waivers. The attorney is trying to get Lennon to concede that interpreting the @NCAA‘s bylaws versus waivers is subjective. Trial is breaking for the day, and the court is going into a day-long recess. The seventh-day of the 10-day bench trial will start on Thursday morning with the parties continuing Lennon’s examination, followed by @ohiostate athletic director Gene Smith. Passed the halfway point in this trial and both sides have accused me of one-sided reporting. I can’t even. Just a reminder, the antitrust trial over the @NCAA‘s pay rules is taking a break today. They’ll be back at it tomorrow. ITMT, here’s my recap from yesterday’s testimony, which focused on @pac12 commissioner Larry Scott’s $4.5M salary. Day 7 of the 10-day antitrust bench trial over the @NCAA‘s pay restrictions has begun. Judge Claudia Wilken is on the bench and NCAA VP Kevin Lennon is back on the stand, being examined by the student athletes’ counsel. Counsel for the student athletes, Jeffrey L. Kessler of Winston & Strawn LLP, is asking Lennon about a $30 per diem that student athletes’ occasionally get to cover expenses. The judge asks if athletes get the per diem if hotel and food is paid for on the road. Lennon says no. Lennon says receiving participation awards is not tied to the “principle of amateurism,” but the cap on those awards is. He explains the NCAA division I council decides the cap, which can be challenged by the conferences. Kessler asks Lennon if he thinks a “cost concern” is a concern of amateurism. Lennon responds costs is one of “many reasonable factors” to consider. Kessler asks Lennon if he agrees that some members who vote on the @NCAA Division I council consider costs when they’re looking at legislation. Lennon says yes, but the rules still must be consistent with the rule of amateurism. Kessler asks Lennon if in his previous testimony he repeatedly said the incidental benefits to participation are not related to the principles of amateurism. Lennon won’t give him a yes or no answer. Judge repeatedly tells Lennon he needs to just answer the question, so they can move on. @NCAA objects to another question, arguing there’s no basis for impeachment. Kessler says Lennon is trying to insert brand new testimony instead of just responding to his questions about whether incidental benefits are related to the principles of amateurism.Kessler has turned to the @NCAA‘s exceptions to the “amateurism rule.” The exceptions are created by a vote of conference members sitting on the Division I council. Kessler notes that different conferences sitting on the council have different voting power.Kessler is focusing on an @NCAA exception to its rules that allows student athletes to borrow against their future earnings to purchase insurance against “disabling injury or illness, or loss of value.”Kessler is trying to point out that the exception is a benefit that tries to help student-athletes go pro. After some pushback, Lennon says there are some students who have a ‘reasonable chance’ of going pro, but the @NCAA wants them to be students while they’re on campus.Kessler points to a document that says the NCAA does not limit the amount of money student-athletes can receive from the Student Assistance Fund. After some pushback, he says he doesn’t think there’s a cap on SAF unless the conferences impose SAF limits. Kessler asks Lennon if the @NCAA board has ever refused to let the council of conferences vote on rule changes. He says he doesn’t know. Kessler asks Lennon if he knows that @AlabamaFTBL‘s Nick Saban complained that his cost-of-attendance was too low and unfair and shortly after the financial aid dept increased the COA. @NCAA‘s attorney objected. There was some debate, but the judge allowed it. Lennon says no. Trial’s taking a break, back in 15. Smith is on the stand. He’s giving a rundown of his career, in which he worked as an athletic director for Arizona State, Eastern Michigan and Iowa State. He also worked for IBM selling computers for two years in his early 20s. Smith says @OhioState‘s athletics generates enough revenues to cover its expenses. He says he’s spoken with 100s of student athletes about their experiences and today the development of student athletes is “significantly better” than when he played college football in the ’70s. Smith says when he asks student athletes what their career plans are, they all say they wanna go pro. “But the reality is, they’re not all gonna go pro,” Smith says. @OhioState tries to prepare them for careers outside of sports, he says. Smith says the “super majority”” of @OhioState fans he’s spoken with are opposed to pay for-play. @OhioState athletic director Gene Smith on paying student athletes: “People who do not believe that the game would change are being naive.” “Would there still be fans? No question.” But there would be less. “It would be mind boggling” what would happen between players, he says. Smith says young people playing college sports are learning the game. They make mistakes and go through a process learning how to correct those mistakes. “It’s just a different deal” than pro, he says. Smith says at @ohiostate they try to help athletes understand early on that they probably won’t make it to the pros. “It’s an unrealistic burden that they face, we try to ease them into the fact.” At some point the realization sets in and they focus on studying, he says. @NCAA‘s attorney is trying to ask Gene Smith about a Tweet he received from player Cardale Jones (aka. @Cardale7_ ). The student athletes’ attorney objects, arguing that Tweets aren’t admissible. Now they’re arguing over it. The judge says if they want to argue over whether Tweets are allowed to be admitted as evidence, the parties should do it in briefs. 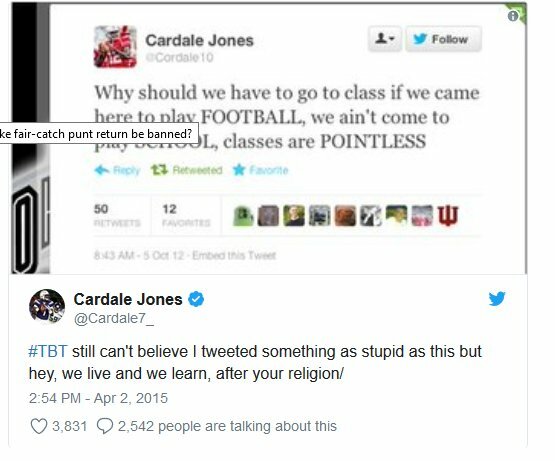 Here are @Cardale7_ ‘s tweets that they’re arguing over. Gene Smith says @Cardale7_ is from Cleveland, Ohio with “unbelievable talent,” who at first was only focused on football. Smith said he spent time with Cardale to make sure he understood he should focus on academics. “He’s a perfect example of what we provide,” Smith says. Gene Smith says it was a “proud moment” for him when @Cardale7_ graduated with his degree in 2017 after going pro. Smith says most student athletes come to @OhioState with no job experience. “Helping them understand the work environment is very important to us,” he says. Now, 84% of student athletes graduating already have jobs, are going pro or are getting masters degrees, he says. @NCAA‘s attorneys wrapped their examination of @OSU_AD for now. Steve Berman of @hagensberman is up, questioning Smith on behalf of the student athletes. Smith says he hasn’t really been following the trial. Berman asks @OSU_AD if the university has done a formal survey of fans, donors or sponsors assessing demand if certain @ncaa pay rules changed. (Berman asked @Pac12 commissioner Larry Scott the same qs.) Both Scott and Berman say no, they haven’t done those specific surveys. Sorry, both Scott and *Smith** (aka. @OSU_AD) replied no, they haven’t done specific studies assessing demand. @OSU_AD says he hasn’t witnessed any resentment b/w student athletes going pro and walk-on players. Berman points to a @Forbes‘ article that names @ohiostate as the 5th most valuable college football team in terms of revenues, with $120 million in revenues. Here’s that story. Berman notes that b/w 2015-2016, @Ohiostate coaches and benefits were $30.3 million. Currently, the men’s football coach @OSUCoachMeyer has a $7.6 million contract, and can earn a $350k bonus for bowl participation and up to $50k for academic performance bonus. Berman says @Ohiostate basketball coach @ChrisHoltmann‘s annual salary is $2.8 million, plus access to a private jet and golf course and bonuses if the team players earn high average GPAs. Berman asks @OSU_AD if the school monitors student athletes’ social media accounts. @NCAA attorney object on relevance grounds, the judge sustains the objection. Berman points to a media rights contract @OhioState has with RadiOhio Inc.. Smith concedes that there’s no mention of amateurism in the contract. Berman points to @OhioState‘s equipment supply contract with @Nike. Smith concedes that there’s no definition of amateurism in that contract. The parties wrapped with @OSU_AD and trial is breaking for the day. We’ll be back here at 8:30 a.m. tomorrow morning. Only three days left in this 10-day antitrust bench trial over @NCAA‘s athlete pay restrictions. Wonder if this tweet could be used as evidence. Day 8 of the 10-day bench trial over @NCAA‘s athlete pay restrictions is about to start. Here’s my coverage from yesterday in which @OSU_AD warned of sports dept cuts, while the plaintiffs highlighted the multi-million $ salaries of @OhioState coaches. We’re back. @NCAA VP Kevin Lennon, who oversees Division I governance, is on the stand taking questions from the student athletes’ attorney, Jeffrey L. Kessler of Winston & Strawn LLP. Kessler has brought up a @CBS interview that @markymarkNCAA had with @ClarkKelloggCBS earlier this year, in which Mark explained the concept of amateurism. Lennon says he disagrees with how Mark framed amateurism. @NCAA‘s attorney keeps objecting to Kessler’s line of questioning, arguing that the questions are vague and lacks foundation. The judge overrules the objections. Kessler has moved on to the @NCAA‘s rules that explicitly bans educational expenses that aren’t permitted by the association. He asks Lennon if they’ve ever done studies determining what expenses they should permit and ban. Lennon replies no, not that he remembers seeing. Kessler says the @NCAA rules ban student athletes from receiving incentive payments for earning undergraduate degrees and won’t cover tutoring expenses at other institutions. The rules also ban trust funds linked to education and health savings accounts. Kessler says the @NCAA rules don’t cover campus travel stipends and clothing or family subsidized travel as cost-of-attendance. Lennon says some of those costs could be covered by a Student Assistance Fund. Kessler turned to the @NCAA rules adopted in August 2014 creating the autonomy structure joining five conferences. The rules gives the conferences autonomy to determine rules governing insurance loans, financial aid, awards and benefits. Judge stops Kessler and says she doesn’t get how the autonomy 5 schools’ financial aid is restricted. “Where does it say that it’s restricted.” Lennon says the cost-of-attendance is the “controlling element of this,” along with the principle of amateurism. Lennon says the autonomy five can’t override @ncaa bylaws imposing cost-of-attendance limits. The judge asks Lennon then what is the point of having a specific financial aid autonomy 5 rule. He replies to comply with O’Bannon. Judge says but everyone has to comply with O’Bannon. The judge looks visibly puzzled/concerned. Kessler moves on. Kessler turns to a 2014 NCAA memo announcing a new process to interpret @NCAA rules. Lennon says under the new process, the schools were given more discretion in interpreting the NCAA rules as long as the rule is “less tethered” to amateurism. Kessler brought up an April 2018 report and recommendation addressing the issues facing collegiate basketball, which was conducted by an independent commission led by @CondoleezzaRice. @NCAA‘s attorney is vigorously objecting to it being admitted as evidence. 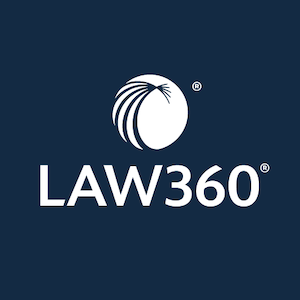 The report recommends that a third party conducts neutral investigations and adjudications of serious infractions and hold institutions and individuals accountable. “The NCAA’s investigation and enforcement processes require a complete overhaul,” it says. Kessler notes that the @NCAA responded to the report in August by announcing it would implement a new complex case unit and an “independent college sports adjudication panel,” effective Aug. 1 2019. Kessler wrapped with Lennon’s examination for now and trial’s taking a break. We’ll be back in 15. We’re back. @NCAA‘s counsel is going through the rules pointing out provisions limiting financial aid and awards and benefits. The judge still seems confused and asks what the autonomy five financial aid rule does. @NCAA attorney points to a doc showing the NCAA distributed $18 million in Student Assistance Funds. Of those funds, in 2016-17, student athletes spent 48%, or $40M on educational expenses, 26% or $22M on health & safety, 14%, or $11.7M on personal & family expenses. Judge asks Lennon how the @NCAA collects SAF distribution data and if anything more “granular” is more available or if he knows the average SAF amount a student athlete receives. He says the NCAA gets the data from schools & conferences and he doesn’t have more detailed info. To clarify, the $18M in SAF distributions was for 2018. They flashed that particular stat on the screen pretty quickly so not sure about the details on it. The parties wrapped with Lennon. The student athletes’ have called Hal Poret, who conducted a survey to determine if paying athletes would impact consumer demand. The @NCAA‘s attorney is examining him. Here are more details on the $18M stat from the expert witness for the student athletes. @NCAA‘s attorney is questioning Poret’s credentials and noting that he doesn’t cite academic research in his surveys or ask economists to review the surveys. Judge asks Poret if there’s literature that follows up with consumer prediction studies to see if they’re valid studies. Poret responds that there are teams dedicated to determining whether surveys are valid and it’s widely accepted in the profession. The @NCAA attorney notes that he didn’t cite an academic article supporting his survey methodology. The @NCAA‘s attorney is challenging the phrasing of a question that Poret put at at the start of a survey. The judge notes that she’s not planning on striking Poret’s direct testimony. The @NCAA‘s attorney is pressing Poret on why he chose to mention concussions in his survey, noting there are a lot of lawsuits pending over concussions in sports. He replies that he honestly doesn’t remember if any attorney suggested he mention concussions in the survey. We’re back, @NCAA‘s attorney is still questioning Poret on why he chose to include the word “concussion” in his consumer surveys. He concedes that he didn’t look at any injury rates data when he came up with his questions. The attorney turned to another question, asking him about his word choice and how the question could be interpreted. Poret pushes back. Poret: There are no words in here other than what it says. Poret emphasizes that just because people might say in a survey that they don’t like something, doesn’t mean they will change their behavior. (This is a point that the student athletes’ economic expert Dr. Rascher also made earlier in trial. )@NCAA attorney wants to break for the day, saying she has over 20 pages of questions left for Poret. The attorneys for the student athletes want to wrap with Poret today, arguing he isn’t available next week. Poret explains he has another trial that starts Monday in Florida in which he’s expected to testify Tuesday. Both Poret and the @NCAA‘s attorney say they have flights out of SFO this afternoon and can’t stay. The judge says they’ll just finish his testimony via video. Trial is breaking for the day. The NCAA’s attorney will continue examining Poret via video Monday. After they’re done with Poret, the NCAA will call marketing expert Bruce Isaacson to the stand. Only 2 days left in this 10-day bench trial. Happy Saturday! Judge Wilken has been relatively tight lipped throughout this 10-day antitrust bench trial over the @NCAA‘s pay limits. But yesterday she had a few pointed q’s for an NCAA VP about an apparent discrepancy in the rules. Here’s my recap. Judge Wilken is back on the bench and the 9th day of the 10-day antitrust bench trial over the @NCAA‘s rules limiting athlete pay has begun. The @NCAA‘s counsel is continuing her examination of Hal Poret – who conducted a consumer survey for the plaintiffs – via video. The judge noted that they have “some things to discuss,” but she wants the parties to wrap with Poret first. At the end of trial last week, @NCAA‘s attorney, Beth Wilkinson of Wilkinson Walsh Eskovitz, said she had 20 pages of q’s left for Poret, so this may take some time. Wilkinson wrapped with Poret for now. Counsel for the student athletes asks Poret if he thinks it’s necessary to survey consumers on every compensation possibility to determine if offering athletes benefits would impact whether consumers stop watching college sports. He says no. The student athletes’ attorney points to a survey done by an @NCAA expert in the O’Bannon case. NCAA’s counsel objects to the line of q’s. The student athletes argue that Poret’s methodology is the similar to the NCAA expert’s method, so the NCAA can’t now challenge its validity.The @NCAA‘s counsel has raised multiple objections on a number of grounds to Poret’s testimony about surveys and testimony he gave in the O’Bannon case. The judge has overruled all of the objections. The parties wrapped with Poret and trial is taking a 15-minute break before calling the next witness, @NCAA Managing Director of Research Todd Petr. We’re back. Judge Wilken says she’s concerned that the parties might need to call @UWMadison‘s Rebecca Blank back to testify on whether she authorized a press statement the school issued in response to her testimony last week. 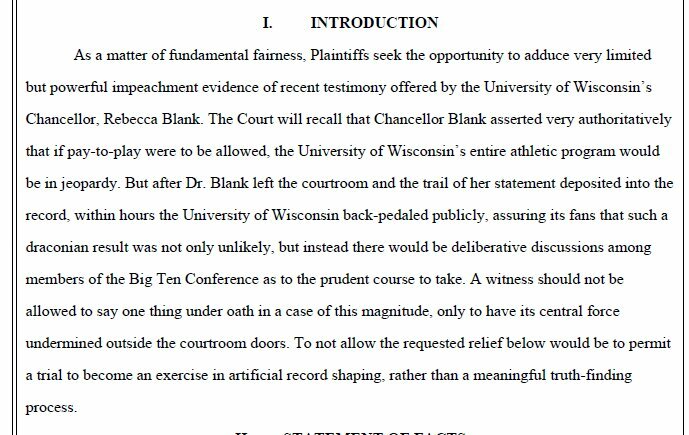 The student athletes’ counsel say they want to call Rebecca Blank back (via video) to say under oath whether she agrees with @UWMadison‘s press statement last week. Other media outlets reported that the statement says the school has no plans to stop offering athletics. With that, the @NCAA called Petr to the stand. He’s testifying on federal graduation rates. He says the trend of graduation rates has gone up b/w 1991-2017 overall by 14%; and he’s seen increases in graduation rates across college sports. Petr is going through @NCAA‘s survey results. He says 27-32% of football and basketball players say all of their friends are teammates & 7-11% regret their majors. FBS football players say they spend 42 hrs on the sport, according to the NCAA. Petr says the U.S. Dept. of Education’s Equity in Athletics Data Analysis database is unreliable and its data is inconsistent with the @NCAA‘s data. The inconsistencies are “kind of all over the place,” he says. The @NCAA wrapped with Petr for now. The judge says she doesn’t think it’s likely that schools are lying to the government routinely and she wants to look at the EADA data. NCAA’s counsel clarifies that they don’t claim schools are lying, but they’re submitting data with errors. Jeffrey Kessler of @WinstonLaw is examining Petr. He points to NCAA data showing the median football Autonomy conferences’ revenues more than doubled between 2004 and 2016, from $40M to $94.9M, while expenses rose from $43M to $98M. He notes those costs include coaches’ salaries. In the Autonomy conferences, Kessler points to data showing that the athletic expense per student athlete rose from $79k in 2004 to $181k in 2016. Petr concedes that the stat includes coaches’ salaries. Kessler notes that in the Autnomy FBS conferences, football revenues doubled between 2004 and 2016, while the median value for head coaches’ salaries more than tripled, from $1M to $3.529MKessler points to the @NCAA‘s own stats that show 40% of Div. 1 football and men’s basketball players disagreed or somewhat disagreed with the statement that they have enough money to buy things they need, like groceries. The parties wrapped with Petr. Trial is taking a 15-minute break. When we’re back, @NCAA’s expert witness, Bruce Isaacson. will take the stand. We’re back. Isaacson is on the stand. The student athletes’ attorney says Isaacson never asked survey participants about their future behavior and instead only asked about their preferences. Isaacson says the answers are still relevant to predicting future behavior. Isaacson says he only measured 3 of the 8 scenarios that the plaintiffs’ survey expert proposed, because the other 5 scenarios were “unfix-able.” “They were broken without repair, because of the premise of them,” he says. Kessler is drilling Isaacson on his choice to use the “disjunctive” phrase “and/or” in the question and his choice not to clarify what an amateur is and how much student athletes receive in cost-of-attendance scholarships. Judge Wilken just broke witness examination early, because she has some scheduling issues she wants to discuss with the parties. Isaacson steps down. 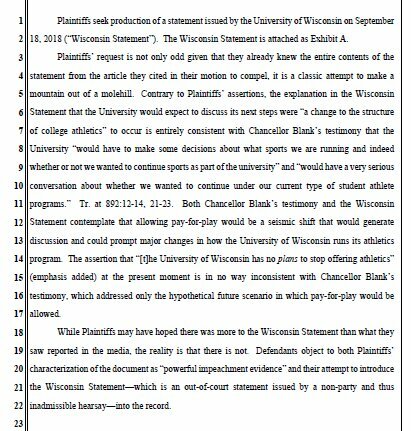 Judge Wilken says the parties might want a declaration from the @UWMadison‘s PR person about the statement the school put out in the wake of Rebecca Blank’s testimony. @NCAA‘s attorney says they plan to get a declaration from Blank on the issue. The judge says she is still confused by how Pell Grants can be more than cost-of-attendance and she wants to know how federal government guides cost-of-attendance. “What are those regulations? What do they say?” she says. The judge wants to know if there’s an analysis of how many student athletes get scholarships and how much they get. Court recessed for the day. Between the two of them, the parties appear to have at least 5 witnesses they want to examine before the end of this bench trial. It’s unclear if either side will have any time left of their allotted 22.5 hrs at the end of the day tomorrow. The parties covered a lot of ground in court yesterday. Here’s my recap. Isaacson says 68.5% of his survey respondents say they oppose offering student athletes “unlimited payments.” Isaacson notes that Poret never included the scenario in his survey. Student athletes’ attorney is back up. The attorney asks Isaacson if he asked survey respondents why they oppose giving athletes “unlimited payments,” noting that it could be b/c they want the money to go to faculty. He concedes he didn’t ask respondents that q. The parties wrapped with Isaacson. The @NCAA calls to the stand Nathan Hatch, who is the president of @WakeForest. Before becoming the president of @WakeForest, Hatch served as provost of @NotreDame for 9 yrs, where he says he spoke with thousands of donors about giving to the university. They gave due to academic quality, sports & the “attachment to the amateur model of athletics,” he says. Hatch says while he was at @notredame they didn’t consider giving athletes money for achieving certain grades. The practical way to get people to do well in classes is to help them academically and not to incentivize them financially, he says. Hatch says based on his experiences at @NotreDame and @WakeForest, he thinks paying student athletes more than the cost-of-attendance would cause “huge kick back” from faculty and it would be “very divisive” within the university. The judge repeatedly sustained objections to the @NCAA‘s q’s asking Hatch what he thinks other school presidents would do if the NCAA lifted pay rules. The judge said she’s concerned that Hatch’s lay opinion testimony “would include predicting the future,” which isn’t allowed. Trial is taking a break. Back in 15 minutes. We’re back. Hatch says if the @NCAA pay rules were lifted, there would be a “shake-out,” causing conferences to split and creating a division among its members. Counsel for the athletes asks Hatch if he or @WakeForest have conducted any economic or statistical analysis of what would happen if various @NCAA pay rules were relaxed. He responds they have not. Hatch tells the athletes’ counsel that he is “implying” that the only way to know something is from the outcome of studies. The athletes’ attorney asks Hatch if he’s seen the demand for college football go down since the Autonomy conferences formed in 2015 and the @NCAA relaxed certain rules covering benefits. Hatch says no. The athletes’ attorney is trying to ask Hatch about bowl gifts mentioned in an article. The @NCAA objected to letting Hatch see the article. The judge said OK, but seemed confused about the request. Hatch says he has “lived in academia for 40 years” and he doesn’t need a survey to know what would happen if the @NCAA lifted its pay rules. The athletes’ counsel notes that he hasn’t lived in academia without the pay rules. He concedes he has not. The parties wrapped with Hatch. @AmericaEast commissioner Amy Huchthausen (aka. @AE_Commish) is next up, appearing via video. The @NCAA notes that they object to Huchthausen’s being called as a witness. Counsel for the athletes asks Huchthausen if she thinks it’s true that paying student athletes at Power 5 schools could have beneficial effect on the @americaEast conference. She replies “that is not true,” which appears to be at odds to statements she made on a panel at MIT. The athletes’ attorney has asked Huchthausen to read a transcript from the panel, which was recorded. Huchthausen concedes that when she was on the panel, she didn’t describe any negative effects on @AmericaEast of paying Power 5 student athletes. @AE_Commish says she doesn’t think her responses to q’s about paying Power 5 student athletes during the panel were positive for her conference. “I see it as more of a neutralized outcome,” she says. During the panel, she said paying Power 5 athletes might “equalize” conferences. @AE_commish says she didn’t have enough time while on the panel to go into this “very complex issue” of paying athletes. If the rules were lifted, the @americaeast would have to evaluate whether it would want to stay in the @NCAA and overall, it would be harmful, she says. The athletes’ attorney notes that the @AmericaEast didn’t see a loss in demand after the @NCAA switched to cost-of-attendance in 2015. She concedes that it didn’t. The parties wrapped with @AE_Commish. BTW, here’s a link to @ZachZagger‘s coverage on the pre-trial fight over allowing @AE_Commish to testify on the comments she made at the MIT panel. And here’s what she said. The athletes’ counsel called Stanford University economist Roger Noll back to the stand to offer rebuttal testimony to criticisms of a law review article that assessed whether the NCAA’s 2015 rule changes impacted the popularity of college sports. (Noll just explained what edogeneity means, but I don’t trust myself to summarize it accurately at the moment, so here’s wiki)Noll says “obviously it is crazy” to say the existence of academic awards undermine academic performance. That doesn’t make any sense, he says. @NCAA‘s attorney is cross examining Noll, asking him if he knows the specific authors of certain articles. Noll says he didn’t evaluate the articles “on the basis of the name at the top.” “I don’t judge articles based on the names of their authors,” Noll says. @NCAA counsel asked Noll if he knows the authors of the article at issue have been tweeting about this trial. Noll says no, he hasn’t been following them on Twitter. Judge points out that the @NCAA‘s counsel has gone “about as long on cross” as the plaintiffs have on their direct examination of Noll, and there have been a number of topics covered. Counsel for the @NCAA wrapped with Noll with 2 minutes left. The parties wrapped with Noll, and the @NCAA‘s counsel just asked for a second break. (Judge Wilken forgot about it.) The judge says they have 35 minutes left of trial and the parties can “do what they like with it.” The NCAA’s counsel says they need a break. Back in 15. The @NCAA called the association’s VP of administration and CFO Kathleen McNeely to the stand. McNeely will be the last to testify. McNeely says about 85% of the NCAA’s TV and media rights revenues come for the March Madness basketball series. McNeely says Division I members received $560 million back from the @NCAA‘s $1.06 billion in revenues last year. Of the $1.06 billion, the @NCAA spent about $189 million last year on “association-wide programs,” which includes enforcement and compliance, McNeely says. With less than 20 minutes left in trial, the CFO is getting into the details of the NCAA’s 2017 and 2018 revenues. The judge commented that “there’s nothing particularly controversial” in McNeely’s testimony. @NCAA‘s counsel, who still had q’s, ran out of time, even though the athletes gave them a portion of their allotted 15 minutes. On cross, McNeely concedes that close to 90% of FBS schools revenues aren’t from the NCAA. Time’s up! This 10-day bench trial wrapped, somewhat anti-climatically, with the @NCAA CFO’s brief testimony on its revenues. The judge thanked both sides for their work & says she looks forward to their closing arguments, which will be submitted in writing. The @NCAA filed their closing arguments Friday in the landmark antitrust bench trial over rules limiting athlete pay. The NCAA argued that college sports fans value amateurism and “overwhelmingly oppose” paying student athletes. 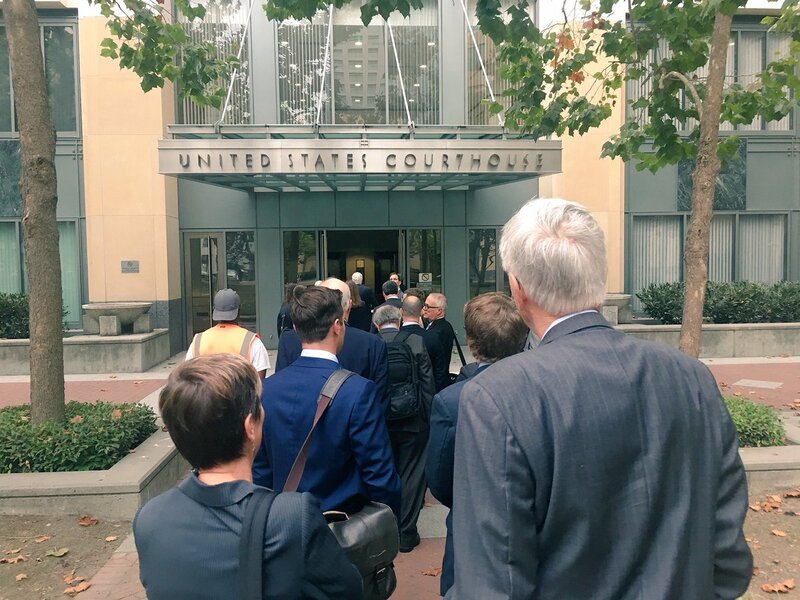 On Friday, the @NCAA also filed a motion to strike the athletes’ closing arguments that refer to testimony provided by @Stanford economist Roger Noll and @usfca economist @daniel_rascher. The NCAA argued that the profs based their opinions partly on inadmissible material. I’m just curious about this. If you’re a @NCAA fan, do you oppose paying college sports athletes? Athletes fired back at the @NCAA’s closing arguments in a landmark antitrust trial over its rules that limit athlete compensation. The athletes argued that the NCAA’s evidence falls “far short” of proving that the rules improve demand for college sports. A hearing on closing arguments is set for Dec. 18. After that, the case will be in Judge Claudia Wilken’s hands.